John trained as a medic in Edinburgh and subsequently trained as a GP in Scotland. He entered general practice in England, and shortly afterwards decided on a career in public health. He undertook public health training in the northern universities in England. He gained all the required academic and professional qualifications. In 2001 he also completed an MD in Cancer services for young people. He continues to undertake a full range of CPD in accordance with the professional standards required by the Faculty of Public Health. In 2000 he was appointed as the first director of the northern and Yorkshire Public Health observatory. Over the twelve years, he had lead this organisation and its successor (the North East Public Health Observatory) he has grown the organisation with contracts in the region of £3M annually. He has been successful in winning bids to deliver the National Library for Public Health, the National Observatory for Learning Difficulties and various IT based projects. His leadership style is both visionary and supportive. In 2010, the role of cancer registry director and medical director was added to his portfolio. 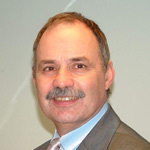 He has a long interest in cancer and has had a close association with cancer registries over the years in the 1990s he was the lead commissioner for cancer services in Yorkshire. He undertook an MD in child and adolescent cancer, which was a significant contributory factor in the hospital trusts in Leeds deciding to establish a teenage cancer unit. He also played an important role in the development of bone marrow transplant services in Yorkshire. John has over 60 academic publications in peer-reviewed journals, these concentrate on the field of information and intelligence. In recognition of his academic contribution as well as holding substantive professorial post with Durham University for eight years, he is also visiting professor at Leeds and Teesside Universities.